When it comes to music, audiences can be fickle. “In” music one year can easily be out the next. For music producers, record companies, and the musicians they have on contract, this makes promotion challenging, since they’re always chasing audiences where they are today. In recent years, the music industry has discovered the benefits of influencers in getting the word out about new releases. With their heavily-engaged fan bases, these social media celebrities can reach a larger audience with one post than most record labels could. Here are a few ways influencers can help you get the word out about your music. 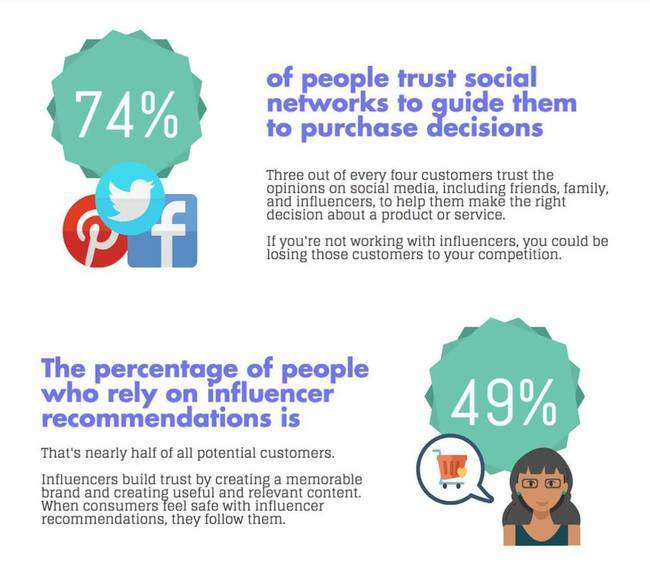 Influencers tend to attract the most desirable advertising demographic, and their highly-engaged audience admittedly makes buying decisions based on what they see online. Since both influencers and their audiences skew younger, they’re the ideal outlet for getting the word out about music that appeals to younger generations. Additionally, working directly with these influencers can help plug a music promoter into what’s most popular these days so that they can better create buzzworthy products. When an influencer posts about your new music, they go beyond merely talking about it. They can include a sample and even a link to buy, making it more likely curious visitors will convert to customers. You can further increase conversions by tying a special deal to the influencer’s post, such as offering half off to anyone who uses that person’s unique code. Music industry professionals aren’t all that dissimilar from top influencers. Both work in careers that require creativity as part of what they do each day. A collaboration between these creative minds can no doubt bring impressive results, especially if they find ways to support each other in reaching new audiences. For best results, though, it’s important to find someone who actually feels passionately about the type of music you’re producing, since that passion will come through. Whether you’re promoting a new artist or hoping to round up ticket sales for an upcoming live performance, influencers can be a great way to expand your reach without spending a fortune. Here are a few tips to help music marketers connect with influencers. Know your audience. By first understanding the target demographic for your music, you can find the best influencer for the job. Consider sourcing influencers on music-specific platforms like SoundCloud. If you, however, would like to get multiple relevant influencers in one search you can also consider using Join. “Music” is a separate vertical on our platform, making it easy to find relevant influencers. Request a demo below this post. Treat your influencer like a VIP, offering free access to music and tickets to concerts.